Boarding is a huge part of Sunningdale life. 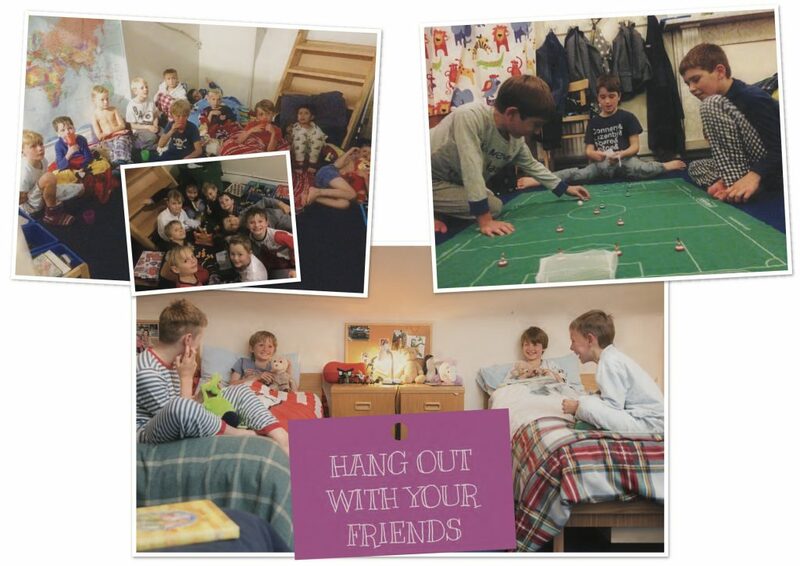 The boys have so much fun in the different dorms and boarding also offers them the time and space to make the most of all that is on offer and, perhaps most importantly of all, spend time with their friends just being boys! The majority of boys at Sunningdale are full boarders and the boarding ethos pervades every aspect of school life. The school believes that boys benefit from boarding in a small environment where they receive very high levels of care and support. Unlike many schools, Sunningdale is full at the weekends, and masses of outings and activities are organised for the boys. They are also given time to create their own games, whether this be an impromptu football match or making a camp in the beautiful grounds. There is a one week ‘Long Leave’ in the middle of each term and there are two additional long weekends. These run from 1pm on Friday to 7pm on Monday. Boys may also go out on two additional Sundays from 10.30 until 6pm. Boys may weekly board during until the end of year six. This gives the boys and their parents the chance to get used to the idea of full boarding. Weekly boarders will go home after games on Saturday (4pm) and they should return on Sunday evening for Chapel which begins at 6.15pm. Parents are very welcome to come to chapel. In their final two years, it is expected that boys will full board. Of those who do weekly board, a significant number choose to stay in at weekends to take part in all the fantastic activities on offer. The school is about three-quarters full every weekend. Weekends at Sunningdale are the stuff of story books – a chance for boys to be boys away from the digital screen and to use their imaginations. After a Saturday of matches there are evenings of themed suppers, films, where boys sit under their duvets in front our giant cinema screen drinking hot chocolate and eating popcorn, socials with local girls’ schools for the older boys or assault courses round the dorms for the others. Sundays give the boys a chance to relax and play with their friends, whether it be a giant game of ‘Convoys’ in our beautiful grounds, den building, painting in the art room, climbing trees, feeding the pigs, gardening in their own gardens, roasting marshmallows on the fire or off fishing, mountain biking, paintballing or simply spending time bowling in the nets or kicking a football about with friends. This, of course, is after a full English breakfast, a roast Sunday lunch and a visit to the ‘grub cupboard’! We have Sunday evening chapel and we always love seeing parents at this.